After providing a 100 per cent record from our tipping efforts in the First Test, we take our crystal ball to Lord’s as England and India play the second match in their five-game series. Their form may not be brilliant of late (they haven’t won a Test for nine straight matches now) but Lord’s can be their security blanket. Only one side has visited St John’s Wood in the last 17 games and left with a victory, a run of English solidity that dates back to Sri Lanka’s 2006 tour. As India have brought a host of stellar names to the home of cricket over the course of their history and only won once, it’s hard to see this inexperienced squad rising to the occasion. Tipping the struggling England captain to fail at the moment is like telling someone a plate is hot after they’ve already burned themselves on it. However, even when runs weren’t the cricketing equivalent of brain surgery for the Essex man, Cook still found Lord’s difficult to master. Eight knocks there have all seen the left-hand nurdler trudge back to the pavilion before he’s scored 50 and he’s only passed that milestone once in the last 12 attempts in the middle. On the other hand, Yorkshire’s Root has flourished at Lord’s. The boyish right-hander has had six knocks at the home of cricket and scored less than 20 just twice. Two of his last three knocks there have brought massive hundreds (180 against Australia and 200* against Sri Lanka earlier this summer). 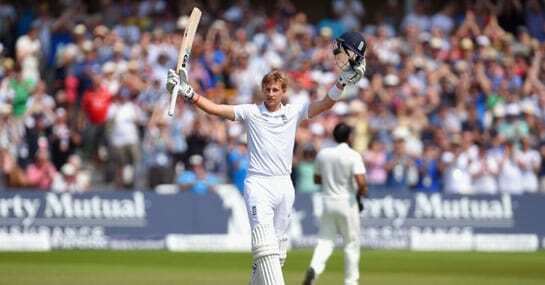 Having already registered a ton against these Indian bowlers in this series, Root can cash in once again at his favourite ground.